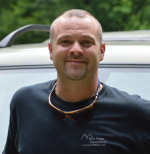 Marshall Grant, Chief Instructor and Administrator of Blue Ridge Expeditions, has been an avid off-road driver for the past 18 years and has been teaching off-road driving techniques for private agencies and the general public for 10 years. Marshall’s experience as an off-road driver began at an early age driving his father’s jeep in the rugged North Carolina Mountains. He was hooked from then on and his first vehicle had to be a capable 4-wheel drive! Within no time at all, Marshall began competing in off-road driving competitions and attending every off-road rally he could get to! Marshall would later earn a degree in automotive sciences and environmental engineering concepts while working for the NPS as a Park Ranger. In doing this, Marshall had seen first-hand the negative effects of off-roading without proper education. Eager to share his experiences, Marshall’s passion soon became being an instructor and training others safe and proper 4x4 driving techniques, vehicle recovery, and the environmental responsibility of off-roading. National Park Service, American Red Cross, US Military, Police , Fire, and Rescue, Land Rover North America, Jeep, Toyota, Volkswagen, BMW, Boy Scouts of America, Specialty Vehicle Institute of America, ATV Safety Institute, and the Recreational Off Highway Vehicle Association are a few among many of the professional agencies that Marshall has trained. He has served as the Area Director of ATV Operations for the Boy Scouts of America, and is currently part of the Special Programs Development Team for Recreational Off Highway Vehicle Association and the Specialty Vehicle Institute. Marshall’s passion for off-road driving and the outdoors comes from a life-long experience of hiking, camping, and navigating some of America’s most beautiful places giving him a unique perspective in providing you with the most exciting and rewarding adventure off-road driving has to offer!